For a shop that caters to cuddly cuteness all day long, Average Joe’s Grooming‘s new space was a little bland. Although the walls were painted cheery sky blue and mint green, the owners Brittany Fenner and Tracey Barette knew their workplace décor could use an infusion of personality to match their happy, furry clients. That’s where the LexJet brandUP crew came in to create and install custom graphics and photography that was both fun and functional. The team started with the most pressing issue: the front window. 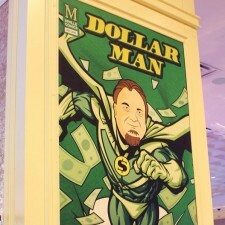 We’ve heard a lot of big numbers being thrown around about this year’s ISA International Sign Expo. This year’s attendance topped 20,044, which is the largest crowd for ISA in 10 years, and the largest that the Orlando show has ever seen. 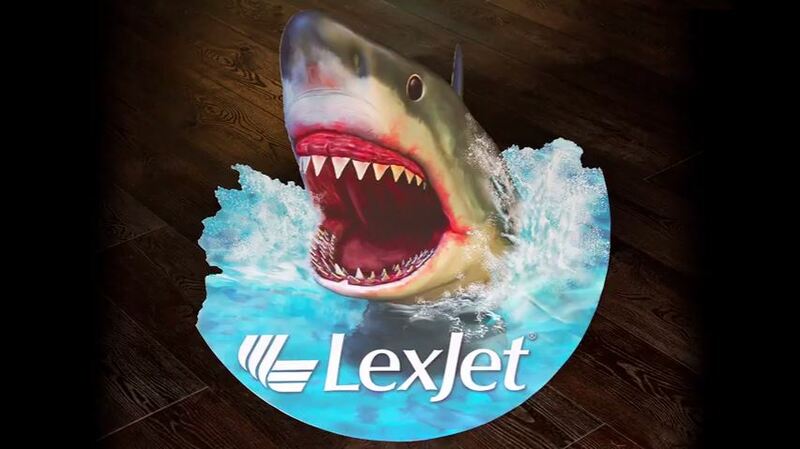 LexJet was one of 600 exhibitors in the 200,000-square-foot trade show floor. 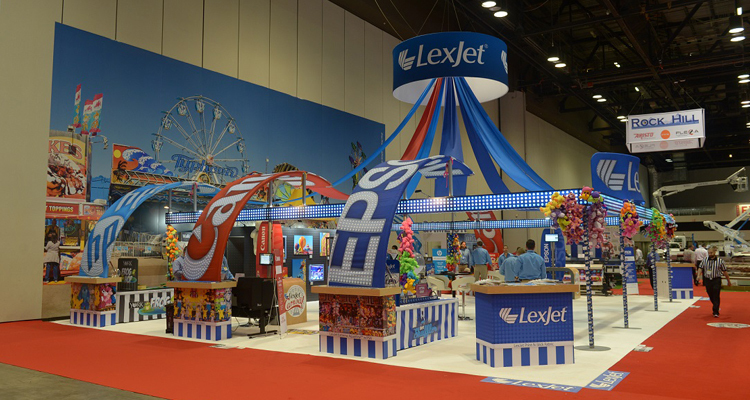 Also, our 50-foot-by-24-foot carnival themed wall graphic, complete with Ferris wheel and roller coaster printed on LexJet Simple Flo Wrap Vinyl, was the largest mural ever displayed inside the ISA show. Today, we’re kicking off a blog series on how on-demand printers and anyone offering wide-format printing services can jump into an exciting new market within the industry: Décor printing. 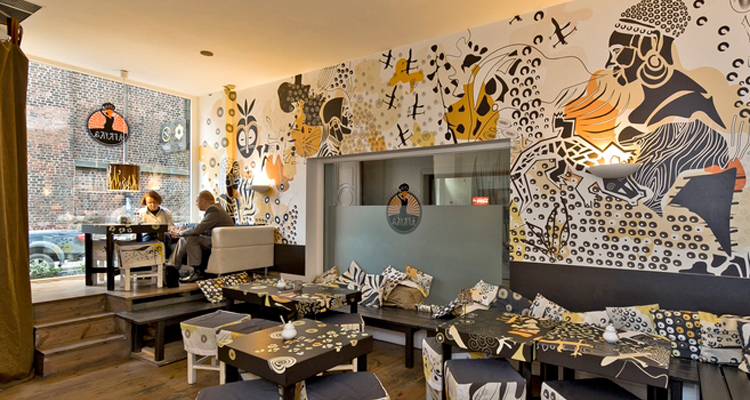 Chances are you’ve heard about the booming customizable décor printing opportunities in our industry. With the advances in substrates and printer technology, offering your customers more ways to create one-of-a-kind projects for residential or commercial spaces has become more accessible than ever. It’s also likely your customers are starting to make requests for projects like wall murals, canvas wraps, floor graphics, customized window screens and even lampshades. In other words, if you can print it, they can decorate with it! 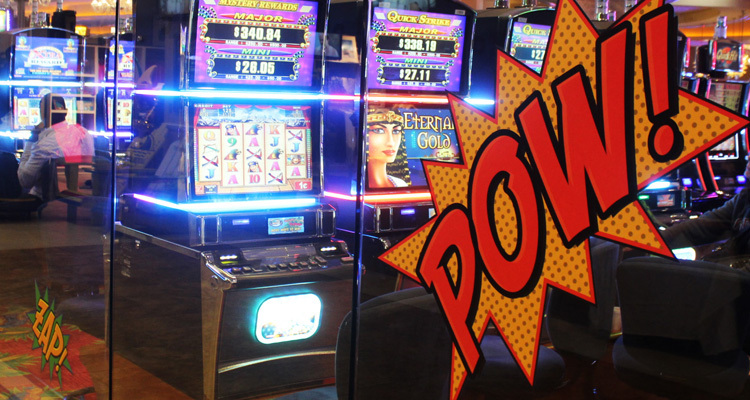 When the marketing team at Margaritaville Resort Casino in Bossier City, LA, decided on a comic book theme for it’s 2016 New Year’s Eve party, they knew they were going to really give it some pow … and boom … and zing to make it all come together. So the creatives got to work. 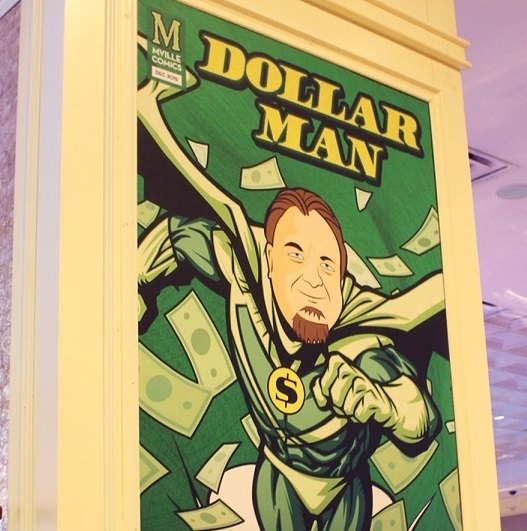 The clever execution of the theme included caricatures of the casino directors and hosts turned into super heroes, villains and cartoon characters, event signage on walls, doors and floors, and tons of starbursts applied all around the 30,000 square-foot casino.